Hyderabad Duty Free (HDF) a, division of GMR Hospitality and Retail Limited, runs duty free shops at Rajiv Gandhi International Airport (RGIA), Hyderabad. Located in both Arrivals & Departures and spread over 1200 sq mts of area, HDF is a tax & duty free shopping haven for over 3 million International passengers flying to and from RGIA. Growing rapidly over the last 6 years, HDF promises an unmatched shopping experience, offering an assortment of some of the world’s finest brands across liquor, perfume, confectionery, tobacco and authentic handpicked souvenirs. HDF is committed to becoming one of the Best Travel Retailers in India by providing unmatched value proposition and enhanced shopping experience for its customers with every visit. 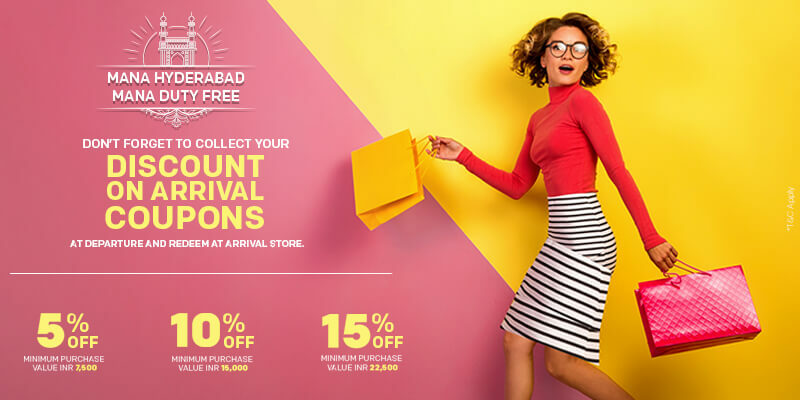 Today, HDF has become synonymous with delightful shopping experience for international passengers with fabulous deals, exciting promotions and best prices. Discerning shoppers get to revel in a rendezvous featuring a wide range of International brands and Indian products. The HDF outlets are spread over 1200 square meters at both arrival and departure areas put together. These retail corridors pamper shoppers with choice and are ably manned by customer friendly staff within an unmatchable ambience. HDF hosts over 100 brands in liquor, tobacco, perfumes in multiple variants. In liquor, there are single malt & blended whiskies, gin, vodka, wines. Be it Johnny Walker, Chivas, Absolut, Smirnoff, Glenfiddich, Glenlivet, Dalmore in the liquor. In tobacco ,there are Marlboro, Davidoff, Gold flake &Classic. Toblerone, Milka, Daim, Ferrero, Merci, Quality Street, After Eight, M&M for the sweet tooth. In perfumes, there are premium brands like Gucci, Marc Jacobs, Chloe, Hugo Boss, Davidoff, Calvin Klein. To add on to the above, HDF also has a very good range of destination merchandise like tea, artefacts, scarves, wood, carvings, jewellery, apparels. HDF also offers a Discount coupon with which fliers can collect coupons at the departure section while flying out of the airport. Upon their subsequent arrival, they can avail up to 15 % discount on shopping at the arrivals outlet by producing the coupons. 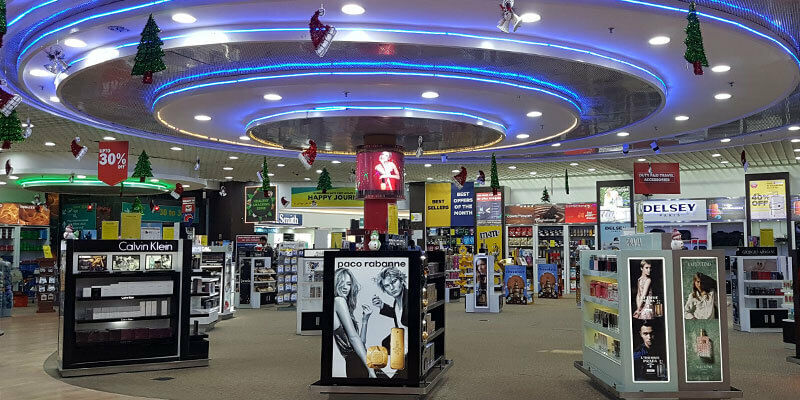 Happy shopping at the Hyderabad Duty Free, RGIA, where prices win hearts!